Healthcare environments require special equipment. 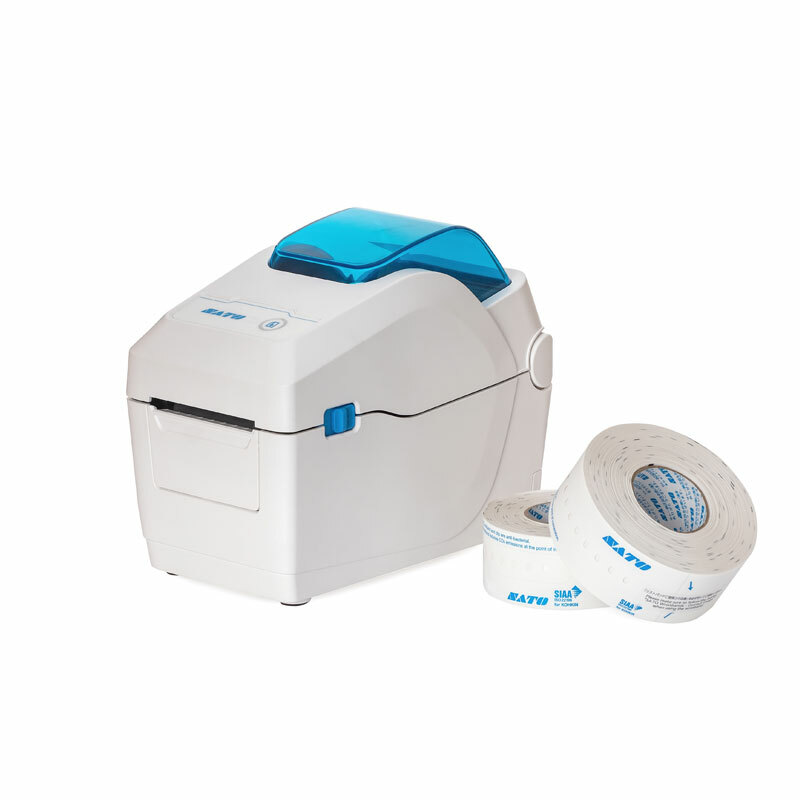 SATO has developed a label and wristband printer series to enhance efficiency and device usability in hygiene-sensitive settings. The WS2 series’ printers enable fast label and wristband printing to ensure maximum patient safety. The printers can be integrated into existing patient management systems and allow uncomplicated operation. The SATO WS2 2-inch printers were created with hospital personnel in mind and provide exactly the features needed in a busy healthcare environment. The WS2 series by SATO was particularly designed for the high demands in hospitals and other healthcare facilities. They can be easily combined with already existing hospital management systems and they are Cerner validated. The devices enable uncomplicated setup and integration to keep processes running smoothly. To save time, several printers can be configured simultaneously. It is also possible to control and configure printers via web browser. The smart construction of the SATO WS2 series’ wristband and label printers ensures simple and fast media loading and exchange. The top can be opened widely to allow convenient access. The devices are ready to print from the first label or wristband to ensure the economical use of resources. Due to the adjustable media sensor, different types of media can be used. To ensure high-quality printing, the 2-inch printers of the WS2 series by SATO reach a maximum print resolution of either 300 dpi (WS212) or 203 dpi (WS208) The high print speed of 7 ips ensures effective working procedures in fast-paced hospital environments. The compact printers of SATO’s WS2 series print text as well as 1D and 2D barcodes. Due to their small size and light weight, the handy label printers can be easily carried along and used wherever they are needed, for example, at the hospital reception desk or at the patient’s bedside. The 2-in-1 direct thermal printers can process labels, e. g. for medication or samples, and wristbands for patient identification. For optimal hygiene, the SATO WS2 printers are made of disinfectant-ready plastic. To avoid the spread of germs, they can withstand regular cleaning with sanitizers and disinfectants. The label and wristband printers of the SATO WS2 series come with a 32-bit RISC microprocessor. As a standard, they are equipped with a USB Host port (Type A) for firmware updates, a USB device port (Type B) and an Ethernet port. Wireless LAN is available as an option. Additional accessories for convenient use are a cutter kit and a dispenser. The new generation of healthcare devices – the SATO printers of the WS2 series combine a label and a wristband printer in one device, they are perfectly easy to use and highly effective for the day-to-day hospital procedures.